Conscious consuming might not change everything, but supporting thoughtful designers, using recycled materials, and smart design is a step in the right direction. See our Earth Day picks from the Dwell Store. 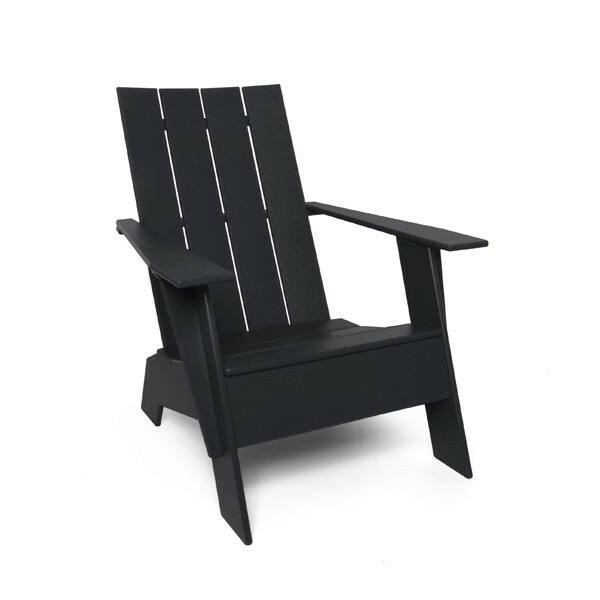 The weather-resistant outdoor chair is made from hardy recycled plastic that won’t blow over in tough weather. Bonus: It has a built-in bottle opener under the right arm. Click to shop all of the Dwell Store's Earth Day Collection. Designed by Jasper Morrison for Vitra, the lightweight, multipurpose stool is made from sustainable cork. Cork can be stripped from trees once they are about 25 years old and the cork tree will continue to grow for as long as 200 years, ensuring multiple harvests from one tree. Simply zip the 5.2- or 10.5-gallon bag up after adding your plant-based waste and the composter bag will produce 100 percent natural fertilizer. A handle on either side of the bag makes for easy compost mixing. A sturdy and sustainable update on the brown paper bag, the Marlowe by Peg and Awl is lightweight, easy to clean, and includes a pocket for a note or napkin. Pablo Pardo’s Brazo LED table lamp is not only the first LED task light to use calibrated focus control, but it is made from 97-percent recyclable materials and uses only nine watts of power. Cleverly mounted on a bent nail, the Nagelburste is handmade by blind artisans in the former Home for the Blind in Berlin using traditional craft techniques.